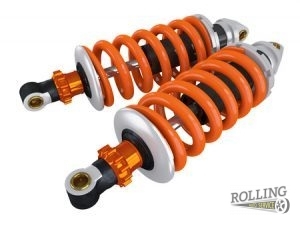 Your vehicle’s suspension system primarily composed of two larger components: the struts and the shocks. These components work together to absorb changes in road force as y our vehicle travels over changes in terrain, such as dips and bumps. By absorbing this force, the suspension system compensates for differing terrain and provides a level of comfort for the driver and passengers. The suspension system also helps maintain constant contact with the road as your vehicle travels through turns, so it is not only vital for comfort, but for safe driving. The shocks make use of hydraulic fluid to compensate for these changes in terrain, helping to minimize the amount of bounce felt by your tires. The struts help to stabilize the car and keep the wheels in contact with the road by pushing them back down as they bounce up. 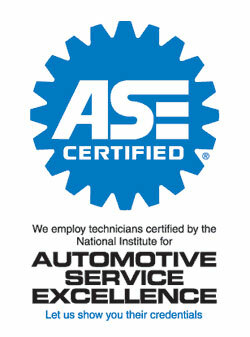 This constant force and motion will ultimately cause parts of your vehicle to wear down and they will need replacement. We recommend regular inspection and service of your suspension system to avoid breakdowns or major, expensive repairs in the future. Like any part of your vehicle, this malfunction can occur at an unforeseen time, leaving you stranded on the side of the road on your way to an important appointment. When this happens, give Rolling Auto Service a call and we will come to you! Call us at 941-493-6511. Posted in Uncategorized on July 7, 2016 at 4:07 pm by Rolling Auto Service.